Nuts are excellent for our health; however one must not go overboard with them. Obesity is one the greatest health concerns today that is also responsible for triggering a range of non-communicable, lifestyle diseases like diabetes, heart ailments and even cancer. A report presented by the National Family Health Survey earlier this year stated obesity in India to have grown two-folds in the last decade. Excessive junk and refined food consumption, lack of exercising and an increasingly sedentary lifestyle are some of the most common factors leading to obesity. Experts suggest a nutritionally balanced diet as one of the best tools in managing weight and keeping obesity at bay. A latest study links regular nuts consumption with weight management and cutting the risk of developing obesity. The findings showed that people who ate nuts not only had less weight gain but also enjoyed a five per cent lower risk of becoming overweight or obese. It was found that nuts are rich in energy, good fats, protein, vitamins, minerals and phytochemicals. Nuts are loaded with health benefiting nutrients and are also high in satiety value. However, these are calorific in nature and must therefore be consumed in moderation. 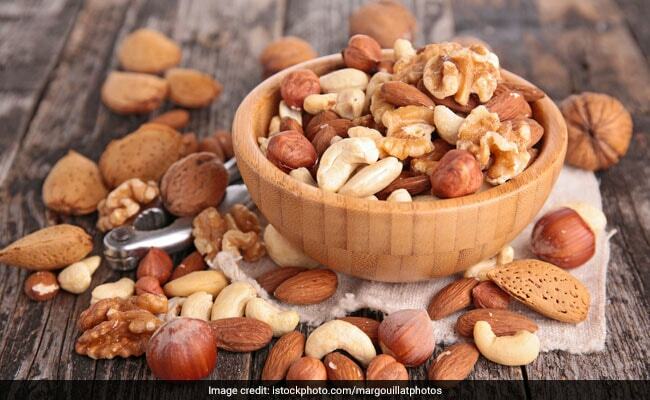 "Nuts are excellent for our health; however one must not go overboard with them.Stick to a handful a day to reap maximum health benefits," shared Dr. Rupali Datta, Consultant Nutritionist, Fortis Escorts, New Delhi. Ideally, a person must not consume more than one ounce or 20-25 nuts in a day. Get in touch with a certified nutritionist to understand the role of nuts in a diet plan and how can it help you manage or lose weight.